As I’ve been using a lot more of my own dyed fabrics in my work recently, my stock pile has diminished rapidly. So today was spent replenishing my supply. It takes a bit of time to get the dyes mixed and fabrics prepared but then the fun starts! 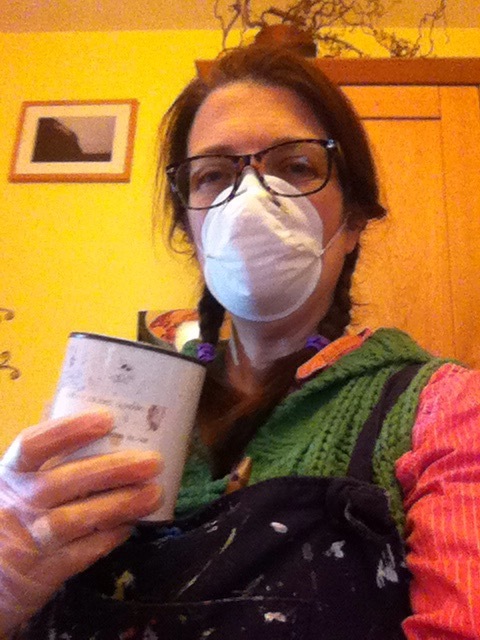 It’s always best to get the safety gear on when using powdered dye – no one ever said the life of a textile artist was glamorous! 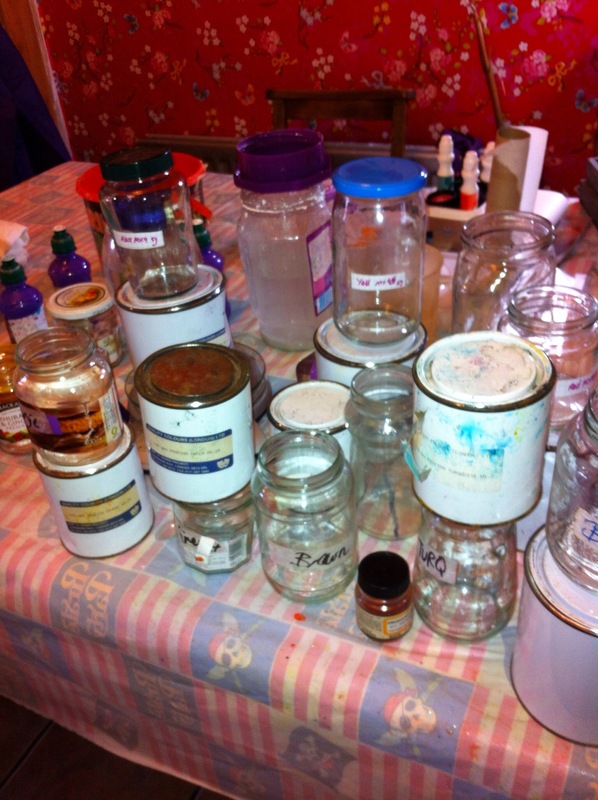 I make sure all my jars are labelled and I’ll add a colour tag when the dye is mixed too so I can see the colours at a glance and work my combinations. 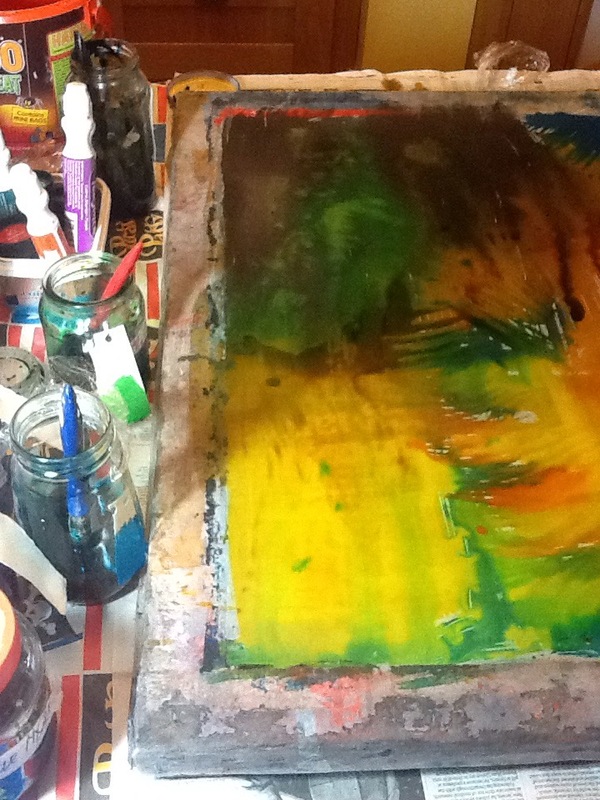 I use the dye in different ways- here I’ve painted it onto a silk screen, it dries on the screen and then I print it with a clear print paste. It gives a water colour effect when printed through. I also paint the dye direct onto the fabric, sometimes wetting the fabric first, so that the colours bleed into each other. Or I’ll use the brush to flick the dye onto the cloth so I get random textures and marks. Now all the pieces are wrapped in plastic bags and curing them over night …then they’ll be rinsed in cool water before putting through a rinse cycle in the washing machine… Watch this space for the outcome! This entry was posted in Uncategorized on February 5, 2015 by donnacheshiretextiles.